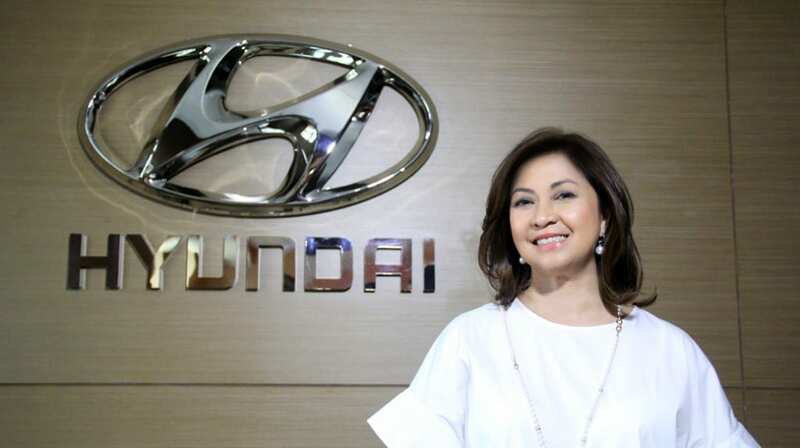 Q1: Hyundai Philippines is a latecomer in the Philippine automotive industry and is now in the top three, this in spite of some out of stocks situations. Please share what were the strategies you successfully adopted to attain accelerated growth? First, we prepared by understanding the market. And I do not mean churning out very complicated insights about the market, but by simply observing their behavior, the things that they value, and actually making meaningful connections. We knew early on that the opportunities to grow the market were there; it was just a matter of who or which brand would be able to tap into those opportunities first. 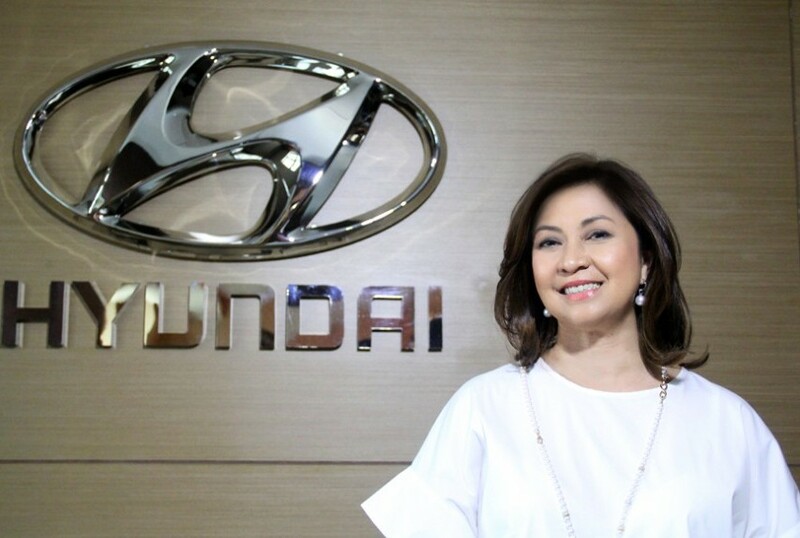 That’s when we came to realize that the best way for Hyundai to start is by creating and sustaining demand in the most important market segment there is in the Philippines—the family market segment. We understood early on that Filipinos value family ties, so we started our distributorship operations by bringing in one product that would become Hyundai’s symbol of the family and cement our status as the most loved and favorite family van until today—the Starex. This became Hyundai’s flagship model and the vehicle that represented differentiated value, as its design was innovative early on. In a market once saturated by box-type vans, the Starex sported a revolutionary bullet-nosed exterior and a European-inspired design platform that not only made for an attractive buy, but a respectable image of quality that customers bought into. Hyundai presented itself as a non-conformist from the start, and in a market dominated by Japanese and American car brands, Hyundai was a refreshing change that the market related well to. Second, we boldly expressed Hyundai’s brand of quality by initiating what we called the HIT campaign or the Hyundai Innovative Technology campaign in the early 2000’s. 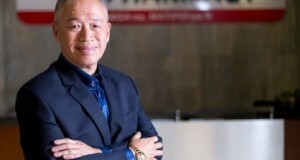 From the Starex, we expanded our roster of vehicles to include more fuel-efficient offerings like the Getz and Matrix, followed by status cars like the Tucson, Sonata, and Santa Fe that sported more global and sophisticated design cues that showed how serious Hyundai was in upping its game in the Philippine automotive industry. Making our rally for quality more credible, simultaneous to our introduction of new cars that cater to more market segments, we presented Hyundai’s breakthrough CRDi (Common Rail Direct injection) diesel engine at a time when gasoline engines were the norm in private transport. We changed the image of the diesel engine from being a mere public utility engine that’s noisy and unreliable, to a technological milestone made available to private car owners and a broader segment of the market, thanks to its improved design and above all, fuel economy. As we made the diesel engine’s image more appealing, we again proved to the market that Hyundai is a brand that’s not content on the tried and true, but a brand that’s bold and game-changing, and that brought us even closer to our customers. At the heart of all these, our partnership with Hyundai Motor Company (HMC) and our dealerships remained strong and purposeful through the years to help bring change in the organization and further strengthen our relationship with customers. Our distributorship operations remain in step with HMC’s global dealer enhancement program, keeping customer space, facility, and equipment at our showrooms and customer service areas at par and consistent with Hyundai’s prescribed standards. This enabled us to proactively interface with people in the organization and our customers. Our dynamic relationship also allowed us room to flex ourselves and outdo our performance. We established simple yet aggressive growth targets: in 2001, “555” or to grab 5% market share with 5,000 units by 2005; in 2006, “888,” or to obtain 8% market share with 8,000 units. And in December 2009, it was “333” or aiming to be among the Top 3 brands in the country in three years and with 33 dealers. We achieved the latter in three months—faster than expected. March 2010 saw HARI leap to top 3 in the automotive industry rankings, with an astounding 82% growth and a string of awards from the government and from prestigious motoring organizations. By constantly challenging ourselves, we’ve helped kept competition at a healthy pace. And when competition is healthy and more brands are challenged, products, services, and everything in the chain of the distributorship process or the selling process of cars gets even better, more choices are made available to customers—and ultimately, that makes the win for the customer. Q2: If you have the power to bring back time and change the past, what would you have done differently (or not done at all) to grow the business at an even faster pace? I believe that’s how we already began—by doing things differently, and we wouldn’t have done it any other way. We’ve always been on the side of change and challenge, always tapping into untested ways of bringing us closer to our market, and not confining ourselves into comfort zones. That’s why we continue to surpass expectations. And our growth that came much sooner than expected is telling of our capacity to make things better, more possible for the customers’ mobility lifestyle. Q3: Can you name the top three innovations that are uniquely Hyundai Philippines and what were the insights behind them that inspired the innovation? The Hyundai Five-Year Warranty is an industry first that we will always be proud of. This program stems from our strong belief in the design and quality of our vehicles, and in our mission to keep providing better service for customers. In 2007, we broke new ground with this revolutionary warranty program at a time when other auto companies in the country only offered three-year warranty. This reinforced customer trust and confidence in Hyundai, as it was the only brand—a newcomer and Korean brand, that braved the industry and presented an unlikely solution to warranty, which remains a touchy subject because car maintenance is costly and access to counterfeit parts hurts both genuine parts suppliers and the safety of customers. Through the Five-Year Warranty program, we gave our customers the assurance that car maintenance is well taken care of by our service experts, that they have reliable access to our genuine parts, and that they are given full support by the dealer network to keep their cars road-worthy and their safety on the road in check. The rest of the industry stopped and saw how it worked, and many have now begun to follow our lead. Understanding the value of time with reference to our customers’ busy lifestyles, we took their worries on maintenance to heart by stepping up to deliver unparalleled service. This is how the Hyundai Jet Service Premium came into being. This after-sales innovation is unlike any other in the industry. While others boast of Preventive Maintenance Service (PMS) with similar claims on speed, we make ours bolder by rendering the service free if we’re not able to finish up the PMS within an hour. That’s a brave guarantee that you won’t likely experience from other service outlets. Again, this points to our relentless pursuit of customer satisfaction and our penchant for delivering the unexpected because we trust in our people and our dealerships’ competence to be in step with the customers’ needs. Another industry first that we introduced is the One Hyundai Club—a pioneer distributor-based loyalty program in the Philippines. In the years that we’ve been in the industry, we’ve seen many loyalty clubs formed by customers themselves. Realizing this, we thought of developing a loyalty club for our customers backed by the distributorship and the dealer network to enlarge the membership opportunities and privileges that we can provide customers, and in the long run, establish a strong, loyal community of Hyundai customers who are able to enjoy the most that the Hyundai mobility lifestyle has to offer within and beyond the showroom. At best, this is our special way of thanking solid believers in the Hyundai brand. Q4: You import Hyundai vehicles to the Philippines, which means you constantly deal with devaluation and inventory concerns. How are you managing these to attain your growth and profit target? I keep the market close to my heart, guided by business intelligence–economic, market and consumer research and analytics–to consistently align myself with customer needs and preferences. In close collaboration with our dealerships, we pro-actively and strategically respond to emerging changes in the business environment in order to prevent or mitigate risks to brand value, forge customer loyalty and retention, and promote overall business sustainability. Working closely with our dealerships, we optimize capacities so that product and service offerings match the demands of their specific markets—per city, per province, and even per region. In so doing, we are more able to create new value—“brilliant experiences”—for customers to connect with the brand in a deeper and more lasting way. 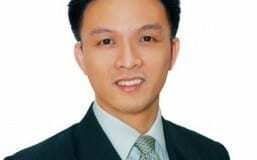 This cycle of consolidating, connecting, and creating new value never ends and I see it continuing and intensifying against the backdrop of an ever-shifting industry landscape. Q5: Toyota has been the market leader for a long time and Honda was able to wrestle leadership in the mid 1990’s, albeit as a marginal leader temporarily. How do you intend to keep winning market shares and how do you intend to stay as the leader when you become one? We intend to continue offering differentiated value for our customers through the design and technology of our cars and customer-driven innovation that translates to the best possible care and service for Hyundai fans/customers. Our aim to become the most beloved brand and customer’s lifetime partner in mobility and beyond—, compels us to keep on offering breakthroughs and discoveries that drive value and relevance from product design, engineering, to customer experiences with eyes set on engaging consumers in a long-term emotional relationship with our brand. Q6: In your experience, is it better to tap dealers who have experience selling other brands or is it better to start from scratch? What are the pros & cons? The HARI dealership fortress is a powerful mix of both. We have the industry’s automotive magnates who handle multiple brands but who push each brand as a unique and independent one for a unique kind of customer. Then we have the passionate one-brand dealerships, who are young and aggressive, and set up shop right where they know they can push our brand further. What is common with these two kinds of dealerships is that they share our corporate vision to become the most beloved brand, so that they are in synch with Hyundai’s global brand direction of creating modern premium life spaces for the customer—from dealership to cars, and service, where the experiences between brand and customer go beyond mobility and into a lifestyle that they can really identify with as brilliant, relevant, and purposeful. Q7: You are one of the few women leaders in the automotive industry, what do you think are traits women have as advantages when compared to men? To my mind, leadership is not a question of gender. You don’t even need a title to be called a “leader.” Leadership is about the passion and the conviction that you can do more and achieve more, that you won’t settle for anything less. It’s also about being foolish enough to go for the edge and find ways to make things better, to initiate change, and to make that change happen. Q8: Hyundai Philippines has a foundation. Can you share with us how it is a force for good in society beyond gaining market shares and profit? Through our socio-civic arm, HARI Foundation, Inc. (HFI), HARI has made good corporate governance a key element in its brand building efforts, solidly echoing Hyundai Motor Company’s (HMC) global bid to transcend the traditional sales bottomline and move towards selling a lifestyle of authentic caring and sharing, involving governments and citizens in its advocacy and role as a sound corporate citizen and partner. Through our advocacy for education in economic, social, and environmental sustainability, we aspire to empower people—especially the youth—to help themselves and their communities. Upon doing so, we help develop leaders, social innovators, who are capable of leading their communities to be self-sustaining as well, and therefore contribute to a stronger Philippines. Our flagship project for this endeavor is the Hyundai New Thinkers Circuit (HNTC) program, where we partnered with the Department of Science and Technology-Science Education Institute (DOST-SEI). HNTC is a holistic out-of-the-classroom approach to youth learning in the sciences. The program aims to address gaps in the quality education of high school students who can become “Hyundai New Thinkers”—the country’s next generation leaders and innovators. For Year One (2013-2014), we tackled the pressing issue of climate change. We challenged the 80 chosen student participants from 40 public high schools in Metro Manila, Region III, and Region IV to interact with climate change experts from DOST-SEI, UP National Institute of Geological Sciences, and UP Marine Science Institute, and to come up with their own science projects that would help address problems of climate change in their respective communities. After a year-long process, we awarded 20 students with college scholarships for presenting the most brilliant and doable projects. 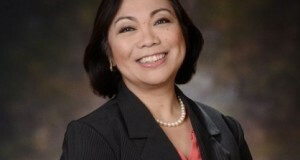 Indeed, good corporate citizenship really spells good business, and advancement for all. The consequences are far-reaching. As private businesses contribute to the upward mobility of individuals and communities, we generate potential new markets for our products and potential new manpower/enterprises for the business supply chain. And if the cycle never stops, then we contribute to the advancement of individuals, communities, business, and the national economy.